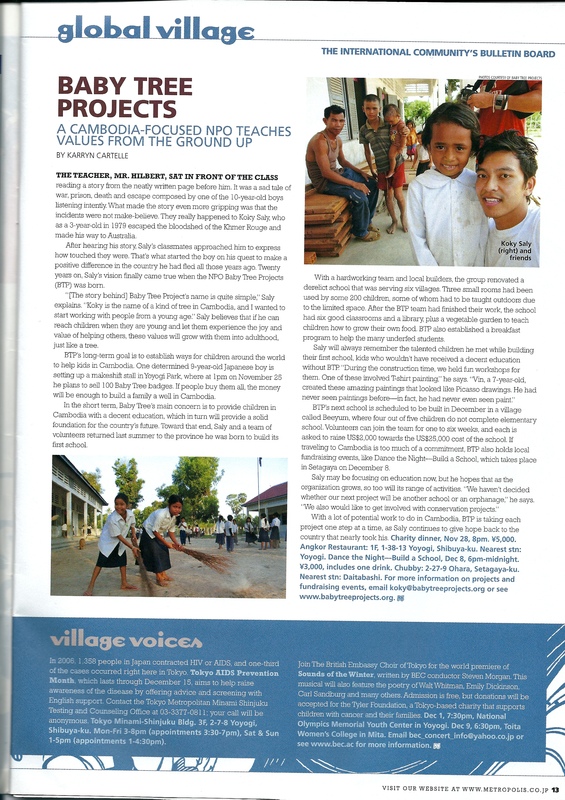 Since officially establishing ourselves in 2007, BabyTree Projects has quietly gone about our business bringing quality education to children in rural Cambodia. During that time we have slowly attracted interest from print media, radio, TV and also documentaries. Below is a selection of articles that have either been written and published by Koky Saly (founder of BTP) or articles that have been written about BTP or some of our volunteers. We have also included a radio interview Koky gave to Triple R, a radio station in Melbourne Australia in 2011. These articles help tell our story. Enjoy! This is an interview Koky gave Triple R 102.7 in Melbourne Australia in 2011. It was about Faith. We hope you like it. It was hard for Koky to tell and harder to share. Thank you to everyone that has emailed us. This is an article that was published in a Japanese magazine called Young Tree Press (Issue 9, Secrets, 2008). It also describes Koky’s first experience of Cambodia as an adult and although it was supposed to be a quasi travel piece it turned more personal. Its semi-autobiographical. 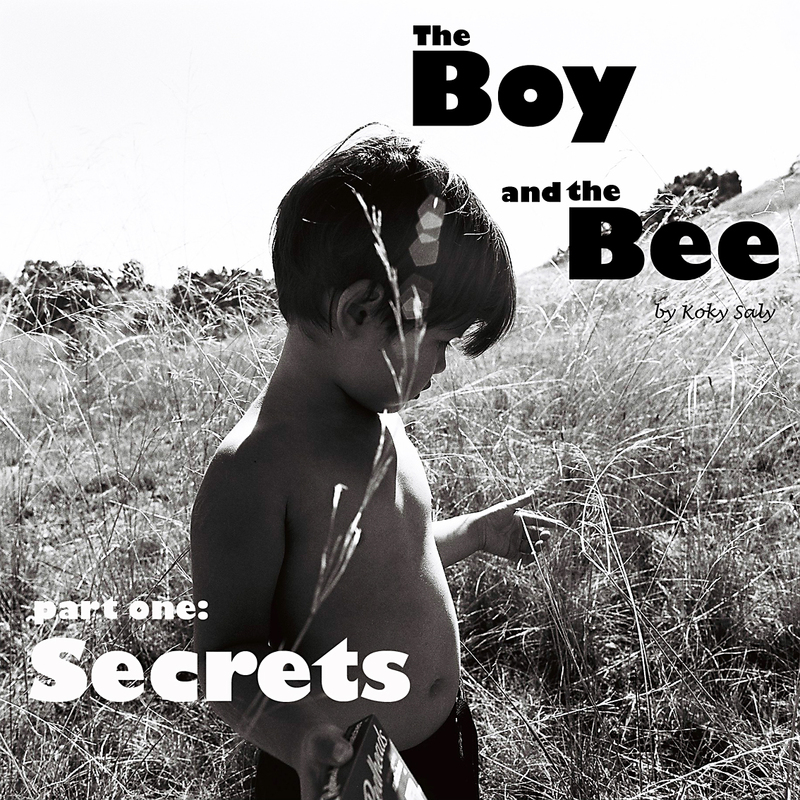 Read here (English) or Download PDF here: Boy and Bee PDF (Japanese only). This is an article that was published in Flash magazine (Issue 3, Flash, 2004). 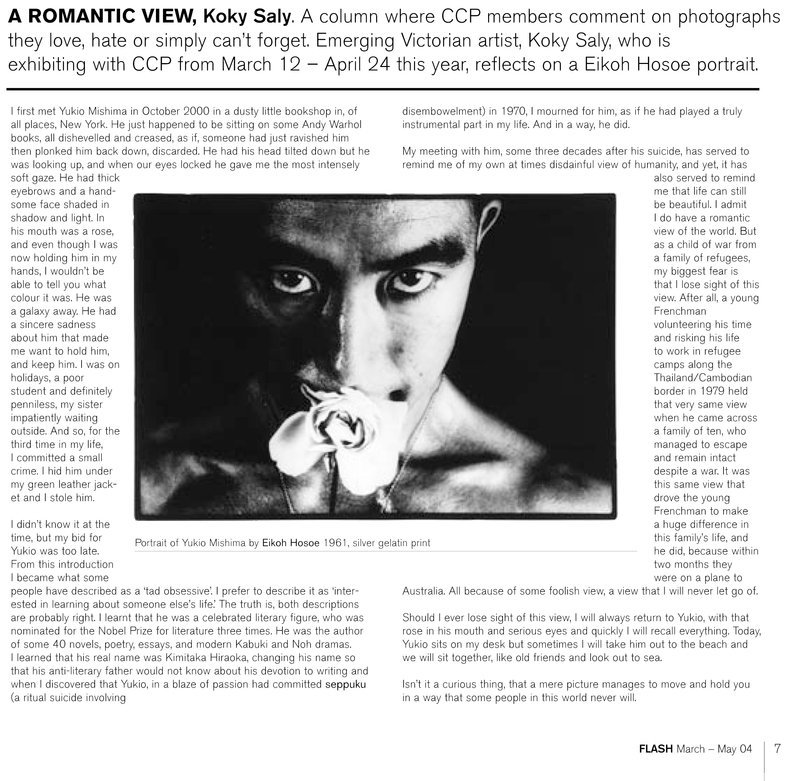 Koky was asked to write a piece to coincide with his first solo exhibition in Melbourne at the Centre for Contemporary Photography. It was supposed to be a reflection on the power of photography, but really, it gives a small insight into the story he was trying to tell. Read here. Or view article by clicking on below image. Or download PDF here: BabyTree Projects Metroplois article.